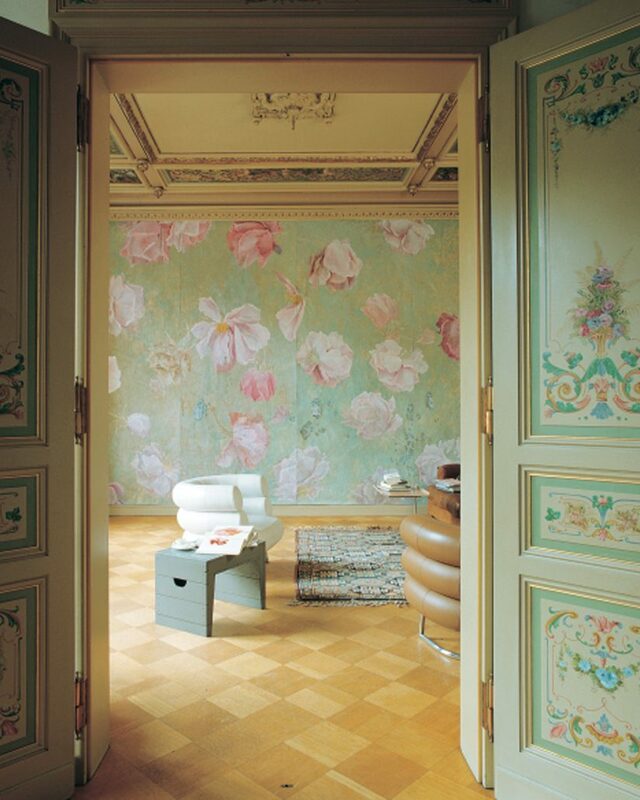 In a 19th-century room, pink roses, from bud to full bloom to petals dropping, waltz across the wall. The soft pink blooms and the mottled green and ochre ground echo the colors of the restored architectural decoration of floral bouquets and classical scrolls. 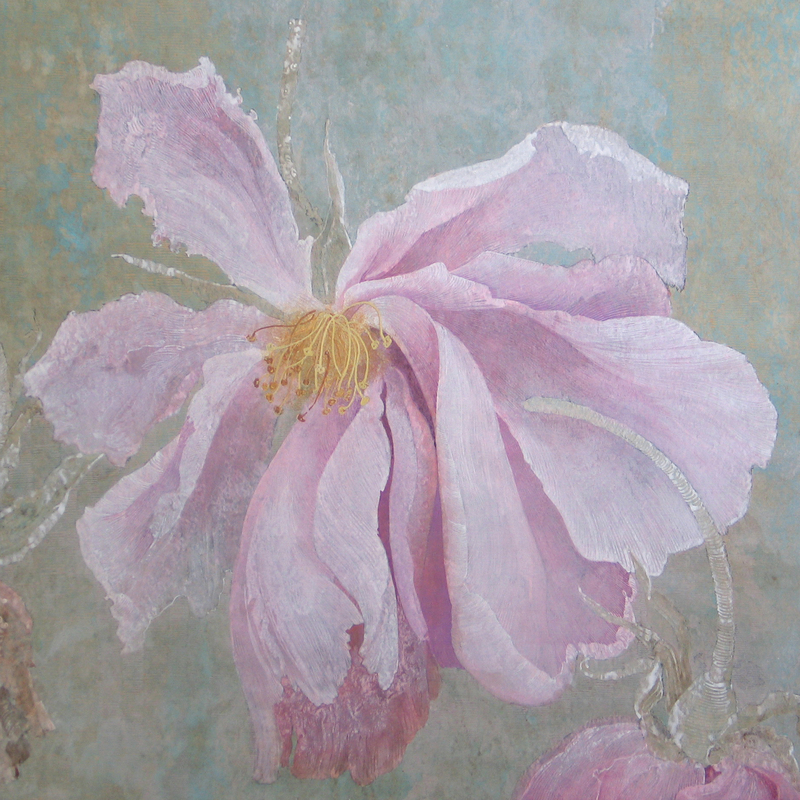 The delicate rendering of the blossoms recall Henri Fantin-Latours flower paintings. But these roses are too restless to be confined in the frame of an easel painting, so they scatter across the patinated wall, their dance bringing to mind some long forgotten ball. This restless energy suggests some inner life and the wall paper peels back in sections to reveal the inner works, the pulse that makes the dancers dance. Through frayed holes and small tears an intricate network of veins and hearts is exposed, a life force, beating just under the surface.